This December has been a very intense month for us, many hours spent in a cold weather, but we wanted to go out and continue helping Àlex raising more funds to allow him continue receiving treatments for his Autism Spectrum Disorder (ASD). We are so happy to get new support, to make new friends and to realize this diffusion of our initiative. 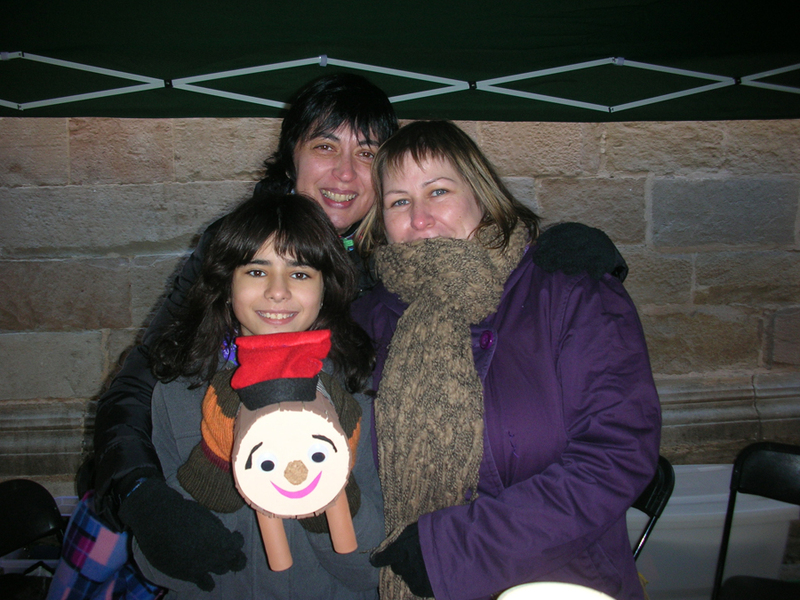 The weekends 6th and 7th of December, 13th and 14th of December and 20th and 21st of December, we were in the 37th edition of Fira de Nadal (Christmas Fair) in Igualada (Barcelona), a traditional space in the old part of the city where dozens of stalls sell their products related to the Christmas traditions. We want to thank Fira d’Igualada and the Festival committee of the Font­-Vella district organizers of this fair to allow us to set our stand. 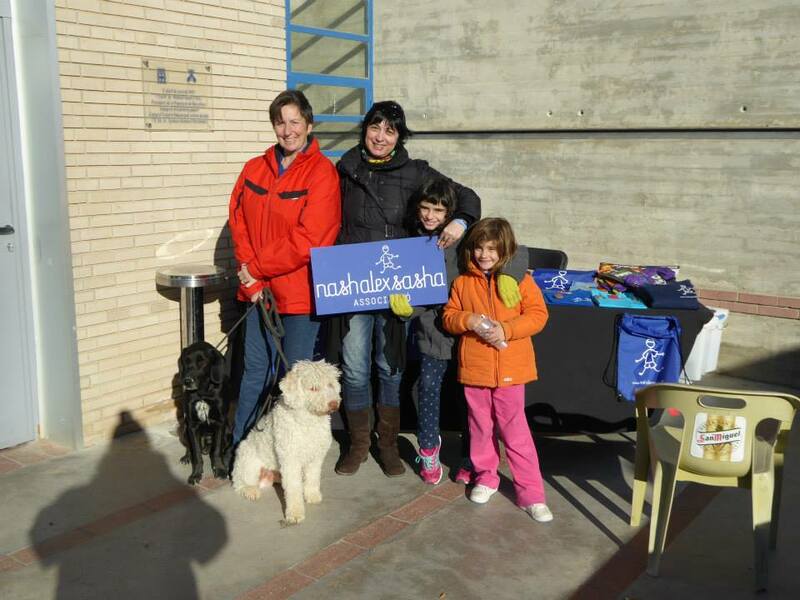 We followed the weekend 27th and 28th of December in Sant Maure futbool camp of Santa Margarida de Montbui, a town next to Igualada, where took place the Agility Competition scoring for the Spanish 2015 Championship of RSCE organized by Agility Club Rivalcan. It was so great to see the athletes and their competition dogs, playing, enjoying a good time and doing agility racing circuits. 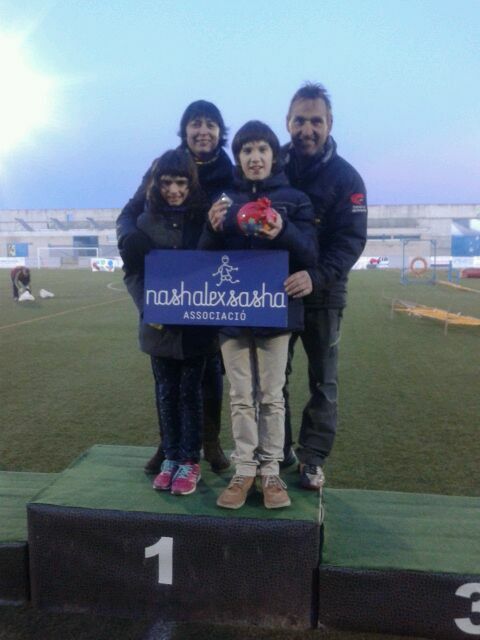 The competition was full of humor and fun, with two special and genuine tests, the “Jumping Caganer”, which gave a part of the money obtained (112€) to collaborate with our association to help Àlex to continue with his treatments. The other test was “Agility Pandereta”. We feel very fortunate that its leaders trusted in our association and our initiative. We are grateful for allowing us to set our stand the two days of the competition. Despite the cold, we were very well accompanied. You give us energy to go ahead. Thank you very much to all those who with their co­operation are making this possible! We are taking part in an Agility Competition! Next weekend December 27th and 28th, an Agility Competition and “la Prova Pandereta” will take place in Santa Margarida de Montbui, a town next to Igualada. The Agility Rivalcan Club organizes this competition. There you will see dogs racing, playing and competing in specific circuits. We are very happy to be invited to take part in this edition and grateful because they will give a part of their income to continue helping Àlex. The competition will take place next weekend at the soccer field “Sant Maure” (Sport Avenue, s/n) and it will consist of many agility and skill tests. This will be a competition full of humor, fun and not to be missed. These tests count for the 2015 RSCE Spanish Championship, so there will be high-level competitors that will show all their potential. The competition will be held throughout Saturday and Sunday. From 11am to 7pm on Saturday and from 9am to 5pm on Sunday. On Saturday a Special Jumping will take place, it is organized in order to collaborate with our association. Besides, we will set our stand with lots of ideas and details of our association. It is not possible to sum up in these lines all our gratitude for this gesture. We are pleased to participate and we appreciate the support that Agility Rivalcan Club has given to us. For us is a pride to be worthy of your co-operation. This will help Àlex to continue with all the treatments that help him with his Autism Spectrum Disorder (ASD). In addition, this will be a new experience for Àlex, and we are sure he will spend a really good time! 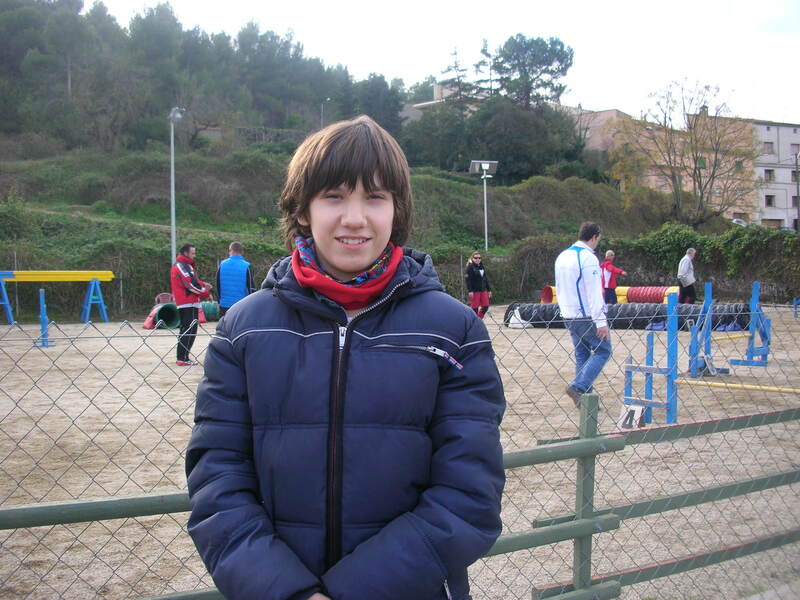 For more information you can enter the website of the Agility Rivalcan Club (in Spanish).